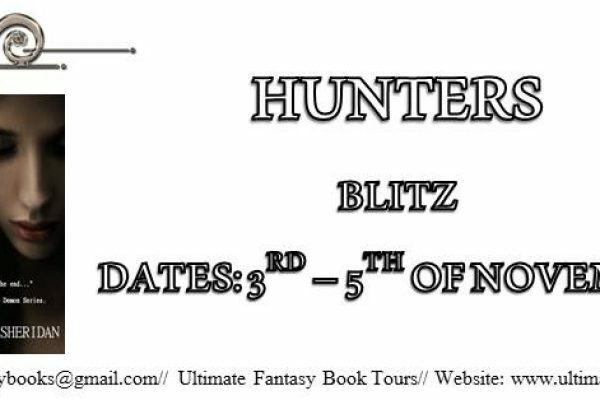 "HUNTERS BY AOIFE MARIE SHERIDAN ~ ONLY .99C FROM THE 29TH OF OCTOBER ~ 5TH OF NOVEMBER https://hdtk.co/JPw4J"
Title: Hunters Author: Aoife Marie Sheridan Genre: Paranormal Hosted by: Ultimate Fantasy Book Tours WILL BE ONLY .99C FROM THE 29TH OF OCTOBER ~ 5TH OF NOVEMBER Blurb: Abigail is nineteen. Her job, she hunts demons. Her life so far has been tough. Having witnessed her family’s death and her mother’s suicide, she’s been taken in by a priest, who believes her when she says that she sees ghosts. 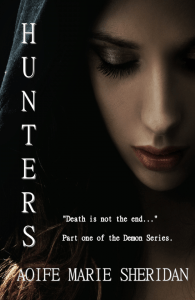 Father Peter trains her as a demon hunter with three other members, one being Daniel, who isn’t what he seems. But when a possession goes wrong, and ghosts start to attack Abigail, the tight rope she has on her emotions soon starts to loosen. Abigail draws the unwanted attention of the Reote, and she finds out a lot more than she was willing to learn. Knowledge is power, but for Abigail, it’s her undoing, and the only thing keeping her together is Daniel.